Creatures of Habitat Physical Poetry Performance Project public performance experiment begins just after sundown on Friday Sept 6th, 2013 and strives for your participation. -Arrive and gather at the meeting location at sundown. -The experiment will last no longer than an hour. 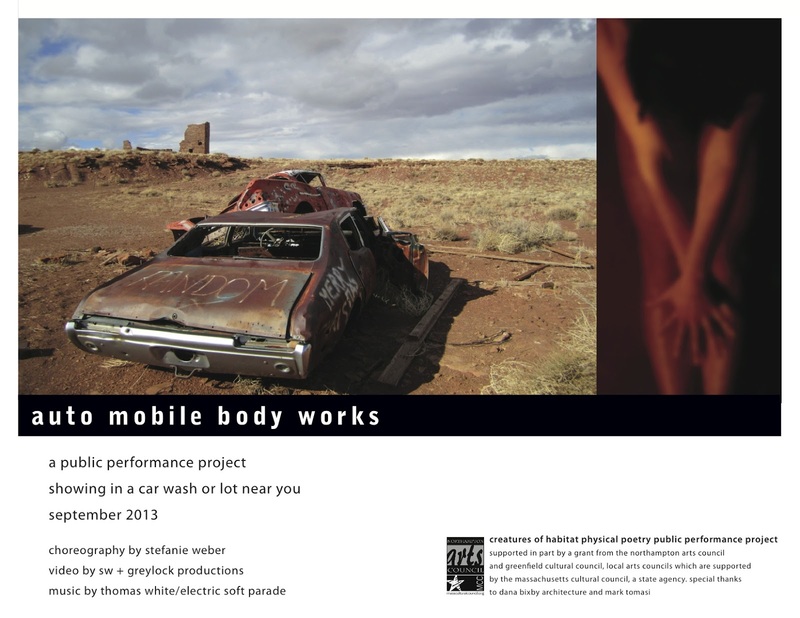 The COH Public Performance Project occupies paved spaces with art that moves. 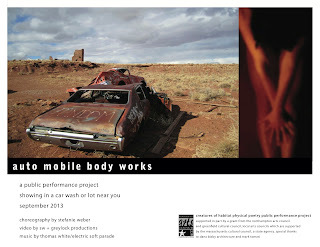 Beginning with the series ‘auto mobile body works’ which utilizes projection and live performance in car washes, parking garages, lots and abandoned industrial spaces. Supported in part by a grant from the Northampton Arts Council, a local arts council which is supported by the Massachusetts Cultural Council, a state agency. Special thanks to Dana Bixby Architecture, Mark Tomasi and Ellen Mary Hayes.